We, and our characters, all exist in a public and a private life at the same time. I’m someone’s sister, wife, child, mother, friend, neighbour. I’m that person who loves the thrill of body surfing large breakers, and gets asthma when I eat garlic. And I am also part of history. 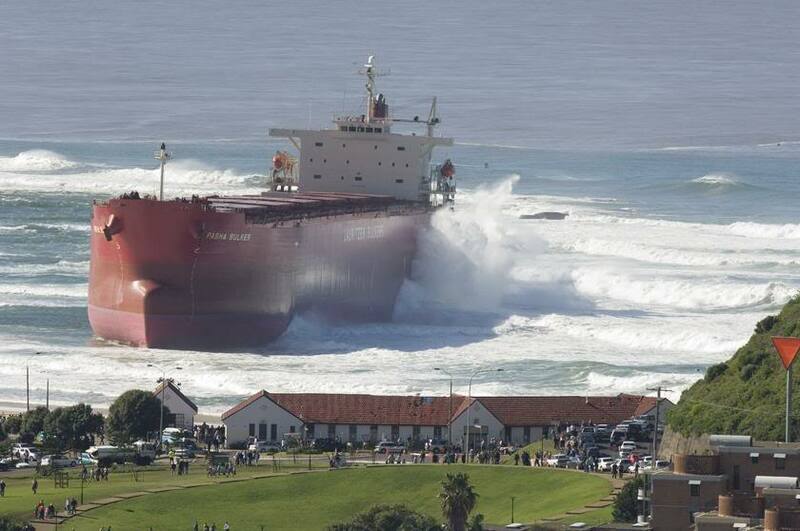 I was lashed by the storm on Nobbys Headland when the container ship, Pasha Bulka, crashed onto the beach. I sat among a sea of uniformed school children on the playground concrete and watched Neil Armstrong walk on the moon. I voted in the election that gave Australia her first elected woman Prime Minister. The individual is history writ small. History is the individual writ large. Understanding what historical events shaped you, and how they formed the way you perceive the world, is important to creating strong writing. Like you, your characters will have encountered historical events and endured personal experiences which shaped the way they view the world. Ages ago I read a piece which placed the author’s horrendous divorce at the same time as the wedding between Prince Charles and Lady Diana. The intersection and resonance between this clash of public and private resulted in a powerful and deeply ironic piece of writing. Another fine example is in Robert Fulgham’s ‘All I Really Need to Know I Learned at Kindergarten.’ He juxtaposes the most unlikely notions of laundering the clothes and redeeming mankind in a humorous and thought-provoking essay. So next time your characters are faced with a personal crisis, take the time to consider the national or global events that may have shaped them and the way they perceive their world. Could any of those events resonate with your characters’ lives and could they be used as a framework to enrich your story? This entry was posted in Uncategorized, Writing and tagged character, fiction, historical events, Robert Fulgham, writing skills. Bookmark the permalink. Great post and image for Australia Day Karen. Life is often full of where were you the day….. Happy Australia Day, Michael. Newcastle seems to have quite of few of those kind of days… I read a great story recently about how the death of rock and roll started in Newcastle harbour. Really I didn’t know that. Apparently, in 1957 Little Richard threw his diamond rings into the harbour from the Stockton ferry to signify his denouncement of the “devil’s music.” The author claims rock and roll slid downhill from then. As someone with a literary blog, I love this completely. It is so true that characters each have their own history, and they also make up a history of the story they are in. It is so true as well that we should consider the events that shape them. Kudos on a great post. Thanks for commenting on my blog, Courtney. Even though all the things we discover about our characters’ present and past lives and experiences don’t go into the story, they enrich the telling hugely. I’m impressed with your blog and look forward to visiting it regularly. I agree also that we and our characters exist in public and private lives. Sometimes we are thrown deep into our private lives by events that force us to evaluate our priorities. Other times we are involved in events that are much bigger and broader than just our own small experiences. Using this to develop the characters in our stories sounds like wonderful advice on how to enrich and layer our characters. Very wise words, Margaret. Thank you for widening the conversation. Karen, the concept highlighted in your blog makes perfect sense although I doubt that I would have gone that way in my writing. But I shall definitely bear it in mind from now on. Once again, thank you for the additional writing know how. I’m pleased you got something out of the post, Diana. Thanks you very much for your comment. A very interesting post Karen! I’ll start thinking more about events (personal and public) that may have shaped my characters. I recently wrote a short story for the StringyBark comp that was set in the 1980s, but I struggled to make that clear to the reader and ended up making one of the characters say ‘it’s the 1980s Mum!’ Adding reference to an event (subtly of course) would have avoided this need, so I’ll keep it in mind for future works. Thank you very much for your encouraging comment, Mathias. recognise such exact approximately my difficulty.